Don’t worry if you’ve not seen Timbuk-one; this is an original drama from Mauritania, about a West African community under the control of Islamic extremists. 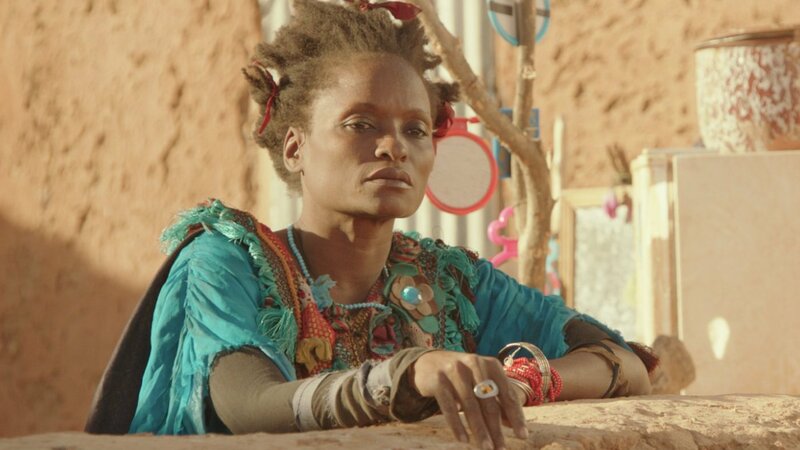 Based on the brief occupation of the Malian city by jihadis, Timbuktu offers a powerful insight into a community oppressed in the name of religion – heavily armed men patrol the land on motorbikes, barking orders into megaphones; “Women must wear socks!” It’s almost funny, until it’s definitely not. Director Abderrahmane Sissako highlights the absurdity of the situation, a bit like Monty Python’s Life of Brian – but that was set in Roman times; this is the present day, and it’s frightening to see the same values imposed on people while society and technology have made such great leaps forward. The Orwellian laws keep changing at random, banning everything from music to football – not that this stops the militia debating Zidane’s career amongst themselves. Although a damning indictment of religious dogma, the film treats everyone as human beings – even the oppressors. Sissako also makes striking use of juxtaposition; antiquity and modernity, humiliation and humanity, cruelty and beauty. Harrowing realism is staged alongside abstract performance – one remarkable scene sees a group of kids playing football with an invisible ball, as though resisting oppression through sheer imagination. Music forms another key component of resistance, played beautifully, illicitly and necessarily. Amin Bouhafa’s music and Sofiane El Fani’s cinematography transcend the brutal hardships enforced upon people whose lives weren’t exactly a barrel of laughs in the first place. Nominated for the foreign language Oscar, this is a film of great conviction and compassion. It’s a haunting, captivating drama, whose characters carry enormous strength throughout. With its poetic direction and political import, Timbuktu is probably the best film about jihad since Four Lions.